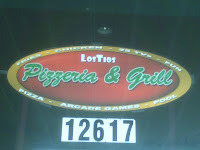 The brand new Los Tios Pizzeria & Grill restaurant has opened in Crystal Plaza at the 12617 Laurel-Bowie Rd. location of the former J's Sports Cafe, apparently starting Wednesday night, September 26. 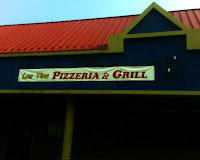 Watch this space for more information about the new Los Tios Pizzeria & Grill in Crystal Plaza.